Whether an anticipatory bail should be for a limited period of time was the issue before the issue before a 3 judge bench of the Hon’ble Supreme Court of India on 15th May 2018 comprising of Justice Kurian Joseph, Justice Mohan M. Shantanagoudar and Justice Navin Sinha. harassed or humiliated in order to satisfy the grudge or personal vendetta of the complainant. B) But at the same time the provisions of Section 438 CrPC cannot also be invoked to exempt the accused from surrendering to the court after the investigation is complete and if charge-sheet is filed against him. C) Such an interpretation would amount to violence to the provisions of Section 438 CrPC, since even though a charge-sheet may be filed against an accused and charge is framed against him, he may still not appear before the court at all even during the trial. D) Once the investigation makes out a case against him and he is included as an accused in the charge-sheet, the accused has to surrender to the custody of the court and pray for regular bail. E) On the strength of an order granting anticipatory bail, an accused against whom charge has been framed, cannot avoid appearing before the trial court. bail should be of a limited duration because it is granted at a stage when the investigation is incomplete and, therefore, when the Court of Session or the High Court is grants it, the court is not informed about the nature of evidence against the alleged offender. In “Salauddin Abdulsamad Shaikh v. State of Maharashtra” (1996) 1 SCC 667 it was held that the regular court, which is to try the offender, is not to be bypassed and that is why the outer date for the continuance of the bail is to be fixed and on the its expiry or the expiry of extended duration, the petitioner has to move to the regular court for bail. The court granting anticipatory bail should not substitute itself for the original court. In “K.L. 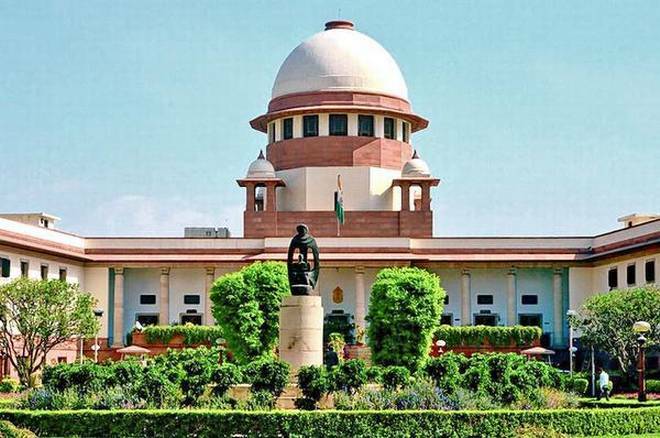 Verma v. State and another” (1998) 9 SCC 348 it was held that the Salauddin case did not intended to convey that as soon as the accused persons are produced before the regular court the anticipatory bail ends even if the court is yet to decide the question of bail on merits. In “Nirmal Jeet Kaur v. State of M.P. and another” (2004) 7 SCC 558 the K.L. Verma judgement was held to be in violation of Sec. 439 of the Code of Civil Procedure, 1973. This court followed the judgement thus holding the K.L. Verma judgement as “per incuriam” or “lack of due regard to the law or the facts”. The Court also observed that it would not be justified in rewriting Section 438 CrPC. accused till the conclusion of the trial. The court accepted this argument. A) Whether anticipatory bail should be limited to a fixed period. B) Whether the life of an anticipatory bail should end at the time and stage when the accused is summoned by the court. This article is penned by Gunjeet Singh Bagga.